Treat the family to a meal out or a takeaway from Ty Morgans every Thursday evening at Ty Morgans Bar. We serve Stonebaked pizzas, Calzones, Garlic Breads, Sweet Potato Fries and delicious Side Salads. We also have our bar menu full of delicious evening meals, snacks and our bar serving real ales, good wines and ice cold lagers and ciders. 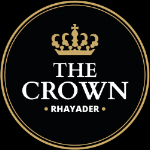 We have collated some of the highlights and attractions of Rhayader and the surrounding area of Mid Wales.